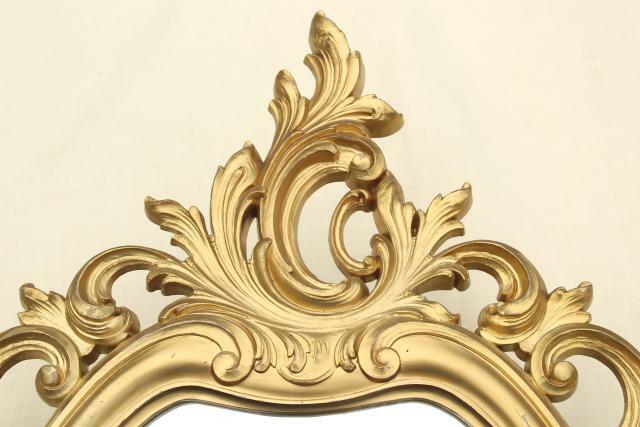 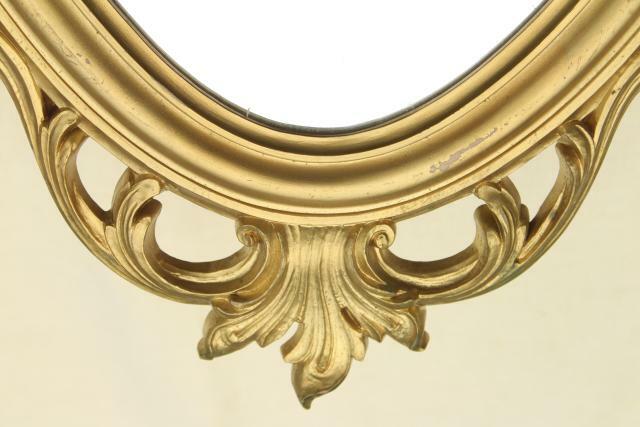 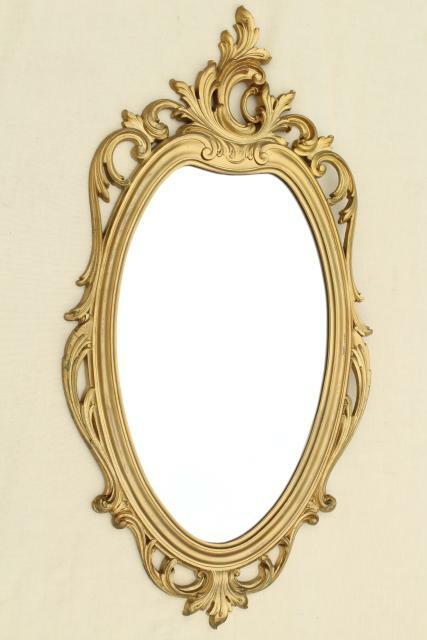 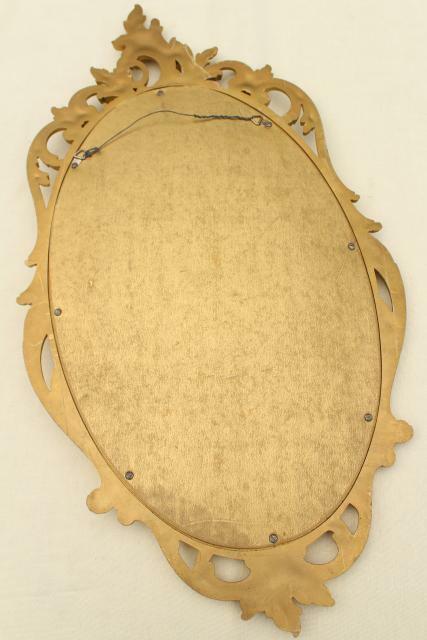 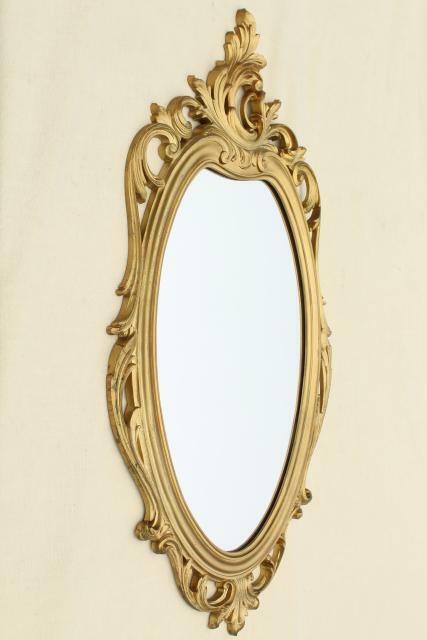 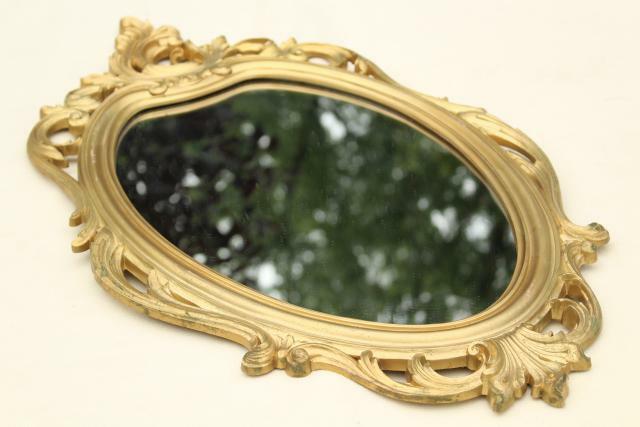 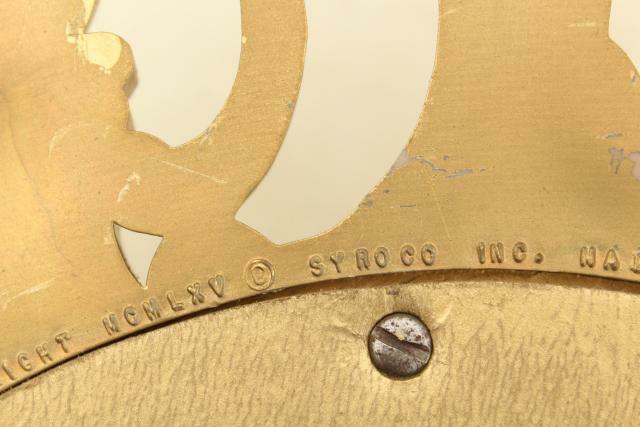 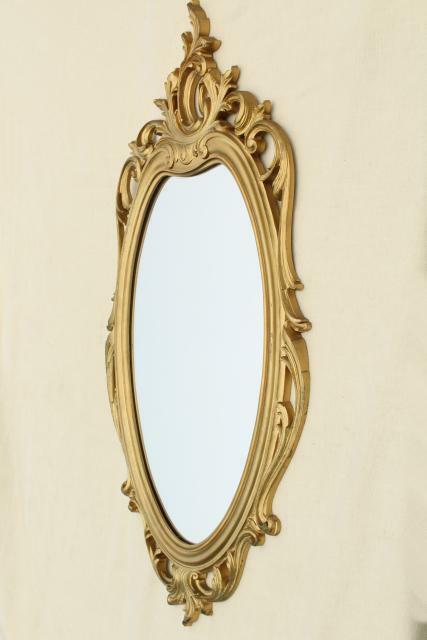 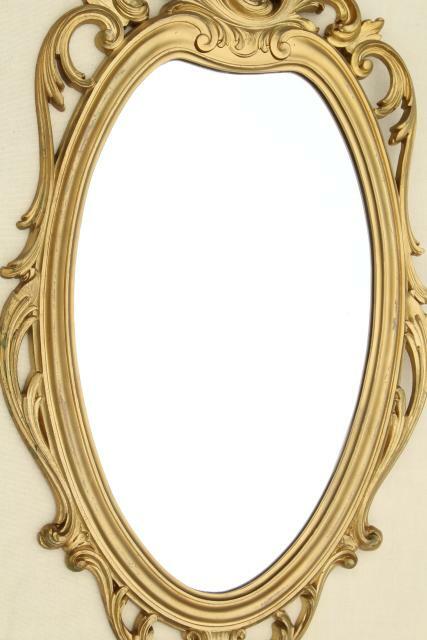 1960s vintage Syroco gold plastic framed mirror, 29 1/2" long x 16" wide overall. 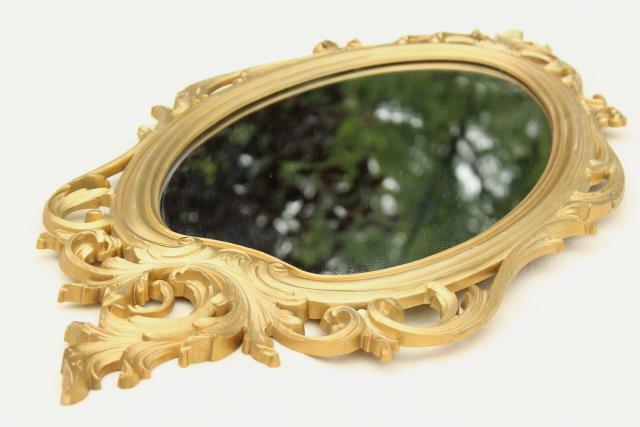 Very pretty, Cinderella style! 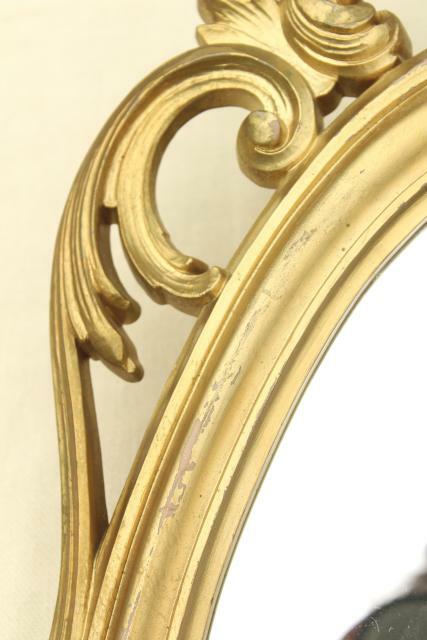 The frame is in very nice condition, and the mirror glass has only a few light scratches.